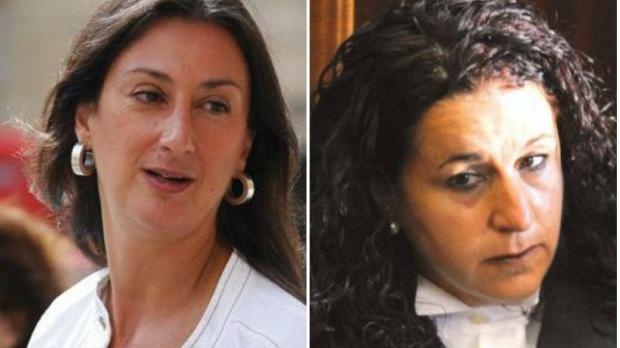 Daphne Caruana Galizia and magistrate Consuelo Scerri Herrera had famously clashed. Daphne Caruana Galizia’s husband Peter and her three children, Matthew, Andrew and Paul have filed an urgent application in court requesting Duty Magistrate Consuelo Scerri Herrera to abstain from investigating the murder. In their application, the Caruana Galizias said that the magistrate had frequently been targeted by the blogger. The magistrate had even initiated court proceedings against Ms Caruana Galizia over comments she had made about her. For this reason, she has a “flagrant conflict of interest” that could prejudice the magisterial inquiry, which required impartiality. They therefore requested that she abstains from carrying out the inquiry. Chief Justice Silvio Camilleri was notified of the application.